This is not a traditional book review as those are usually done about the time a book is published and first available for sale. Also in the interest of full disclosure, another retired FBI agent and I are mentioned in the book albeit briefly and tangential to the primary focus of the book. The mention is related to a FBI steroid investigation we did in the early ‘90s. I’ll explain more about that later. 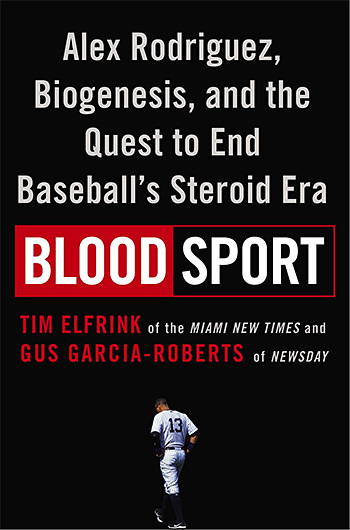 One of the authors of Blood Sport, Tim Elfrink, is a reporter for the “Miami New Times”, and he broke the story of the Biogenesis/Major League Baseball performance enhancing drugs scandal. Tony Bosch, Biogenesis’ founder and owner, had become a supplier of PEDs to a number professional and college baseball players. Several the MLB players were some of biggest stars in the game, and one Alex Rodriguez, “A-Rod,” the highest paid player in the history of the game. Blood Sport is not only a great telling of the sordid story of Bosch peddling steroids and other PEDs to baseball players, but it’s an insider’s perspective of investigative journalism. The Biogenesis saga is arguably the biggest scandal in MLB since the “Black Sox” conspiracy that fixed the 1919 World Series. In setting the stage for the Biogenesis story, Blood Sport describes some of the very early efforts to gain an advantage by the use of chemical enhancement. One such episode occurred in 1889 and involved a 32-year-old pitcher for the (Pittsburg) Alleghenies. The experiment was publically known and not illegal. (The sale and use of drugs was not regulated by the US government until the early 1900s.) Pud pitched a great game, and for short time his performance was proclaimed as proof the elixir worked. It was later determined that the elixar’s relatively small amount of testosterone could not have enhanced Pud’s pitching. He probably benefited from the psychological benefit of the placebo effect. But in thinking that the male hormone, testosterone, might have performance enhancing potential, they were on to something. Blood Sport goes on to trace some of the other efforts to gain advantage in sports through chemistry like the open and pervasive use of amphetamines starting in the 50s and going into the 80s and to some extent the present. Contemporaneous with the decline of amphetamine use began the use of PEDs that could dramatically improve a player’s performance and potentially destroy the integrity of sports – anabolic steroids. Anabolic steroids are synthetic testosterone which in large amounts increases muscle size and strength. Not all steroids have this anabolic effect, but the steroids that are considered PEDs and illegal are anabolic. Testosterone is produced in males’ testicles, but much larger amounts than occur naturally are needed to enhance athletic performance. The use of steroids as PEDs came later to baseball than to some other sports, notably football, but when they did come, it was with a vengeance. Equine started with a meeting of the legendary Michigan football coach Bo Schembechler, his strength and conditioning coach, Mike Gittleson, and me. Bo’s reason for meeting with me was his concern that steroids were becoming prevalent in high school and college football. Steroids were illegal under federal law except by prescription for rare circumstances that did not include enhanced performance in sports. So inspired by Bo, I decided to initiate an undercover operation, Equine, that targeted the illegal distribution of steroids. That UCO ultimately resulted in the successful prosecution of over 70 dealers in the US, Canada and Mexico and the seizure of millions of dosage units of steroids and human growth hormone (HGH). Although we identified a number of football and baseball players that were steroid users – high profile users, but just users – we only prosecuted dealers. One of those dealers, Curtis Wenzlaff, not only sold steroids to our undercover agent, Bill Randall, he had been a supplier to Jose Canseco and Mark McGwire (“The Bash Brothers”) when they played for the Oakland Athletics. After his arrest Wenzlaff agreed to cooperate, and we went after his suppliers, up the ladder so to speak. All this is only relevant to the current MLB steroid story because in 1994 we warned MLB that steroids were being used by their players, and it was a growing (literally and figuratively) problem based on information provided by Wenzlaff and others. The warning was ignored. Neither the hierarchy of MLB nor the players were ready to confront the problem of steroids yet. Years later when the extent of the PED problem became clear, and that it was threatening the integrity of the game, the commissioner’s office, owners and players knew that the cancer of PEDs had to be extricated from the game. With the support of the players association, testing was instituted (urine testing for steroids and some other PEDs and blood testing for HGH). The commissioner’s office also tasked former Senator George Mitchell to conduct an investigation of the PED problem and how best to eliminate them. Among the things the resultant “Mitchell Report” recommended was a “department of investigation” be established within the commissioner’s office to go beyond just testing for PEDs. 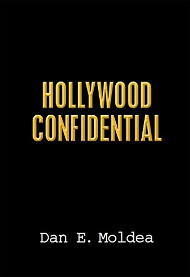 (A concept that Bill Randall, the Equine undercover agent and I recommended when we were interviewed by Mitchell’s investigators.) So when the Biogenesis story broke in the “Miami New Times” and then everywhere, MLB was ready to respond with an investigative unit that reported to the commissioner. The whole saga of the “Miami New Times” getting the Biogenesis story from a disgruntled former partner of Tony Bosch; Alex Rodriguez and his entourage’s efforts to cover it up and keep evidence from the MLB investigators and Bosch caught in the middle, makes for an entertaining story even if you’re not a baseball fan. Set mostly in Miami with a cast of characters that would seem to have come from an Elmore Leonard novel, it is vividly told in Blood Sport. For me the takeaway message from the book is that although testing for PEDs is a valuable tool in helping to deter/reduce the use of PEDs in sports, it is ineffective by itself. Of the 14 players suspended for PED use in the Biogenesis case, only 2 had tested positive in connection with PEDs supplied by Tony Bosch. One was Ryan Braun, and he beat the test by contesting the chain of custody of his urine sample and disparaging the integrity of the tester. The MLB investigation determined that Braun’s test had been accurate and the tester hadn’t “juiced” his urine sample as Braun had implied. All of the suspensions other than Rodriguez’ were accepted by the players. Rodriguez challenged the suspension and went to arbitration claiming the MLB investigators had acted illegally and unethically in obtaining evidence. The arbiter did not find that any of the investigators’ conduct affected the creditability of the investigation’s conclusions. 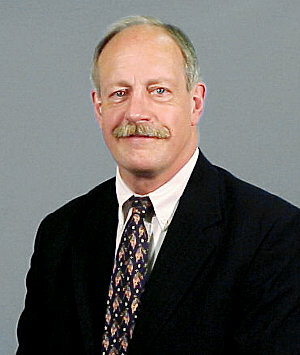 He also found that Rodriguez had made a concerted effort to hide evidence and obstruct the investigation. His suspension was upheld by the arbiter, but reduced. Even with the reduction it was the longest suspension for doping ever given in baseball. After Blood Sport was published, it was announced that Tony Bosch was federally indicted along with others who were involved with supplying PEDs to the players. Bosch has agreed to plead guilty and will get credit for his cooperation with MLB’s investigation. That is what we had hoped would happen at the end of Equine in 1994. We would prosecute the dealers, and MLB would investigate and discipline the players/users based on intelligence provided by us and our cooperating dealers. It took 20 years – we were just a little ahead of the curve. Posted: 9/17/14 at 8:57 AM under News Story.